To conquer Wraeclast you must first master the basics. 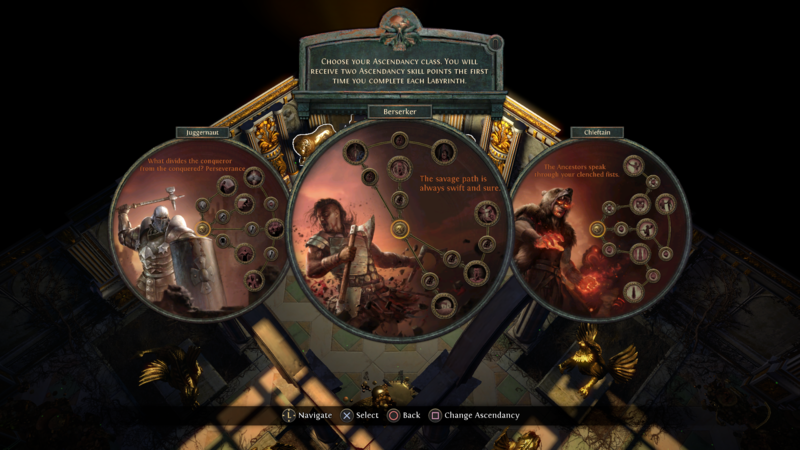 Path of Exile launches on PS4 today! With many new exiles set to wash up on the shores of Wraeclast, we want to make sure you’re well prepared. Life in Wraeclast is unforgiving at the best of times, especially for new players, so we’ve compiled 10 simple tips to help you start off on the right foot. 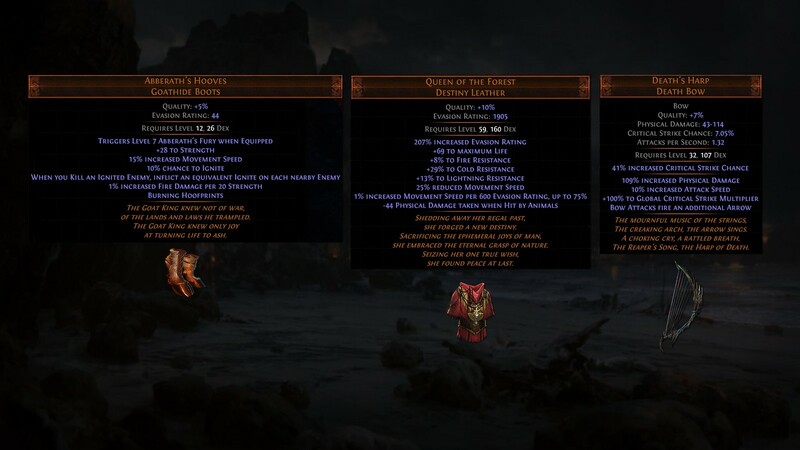 Path of Exile has hundreds of skill gems and, due to its sprawling passive skill tree and deep item customization, thousands of potential playstyles. It can be tempting to try to do a little bit of everything, but you may end up being good at nothing. Picking a specific playstyle you want to use, such as a fire spellcaster or bow-wielding ranger, and sticking with it is far more effective than spreading yourself thin. Support Gems can drastically alter a skill’s performance. Not dealing enough damage with Ground Slam? Try using the Brutality Support to increase your physical damage. Ice Shot not hitting enough monsters? Lesser Multiple Projectiles Support will fix that by turning your single projectile into three to decimate a crowd. Make sure that the skills you are using are properly supported. Killing things is fun, but dying isn’t. Make sure you have enough life to survive a few big hits. 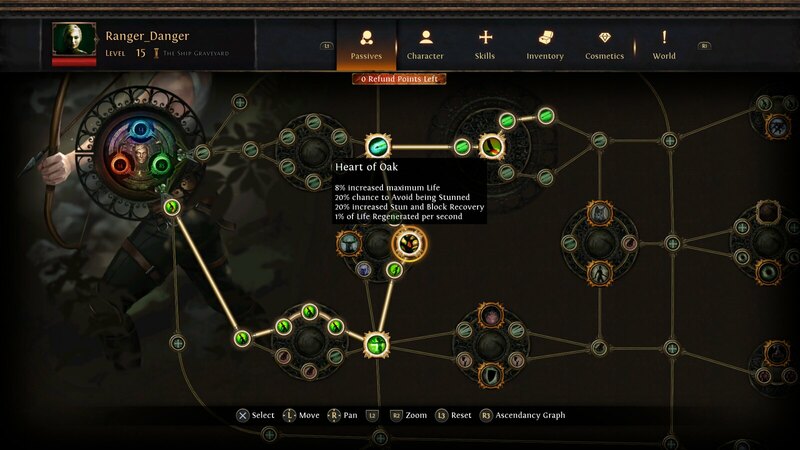 The passive tree is filled with life modifiers, but they won’t do much if your items don’t also supply life. So keep an eye out for things that keep you alive, and make use of them! Got a lot of life but still keep dying? Check your Elemental Resistances in the character panel! You can visit your character panel by pressing on the touchpad to go to your inventory and then navigating to your character list from there. 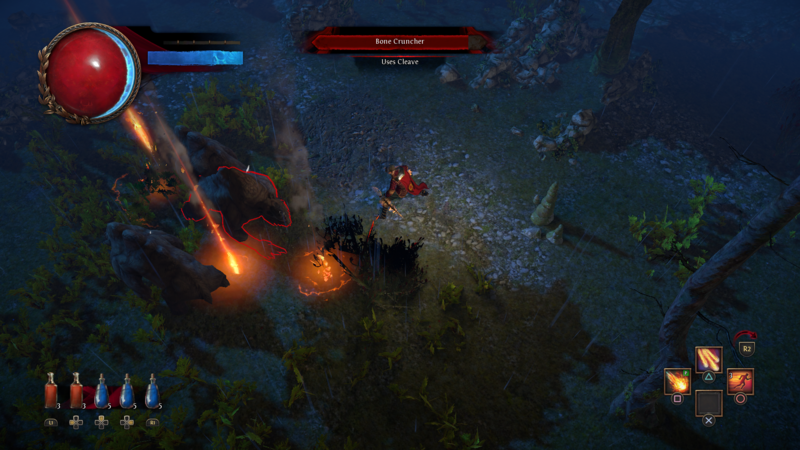 Elemental damage can be lethal if you don’t have enough elemental resistances. Luckily, resistances are plentiful on items and can even be temporarily supplemented with auras and flasks! Cold Resistance is particularly useful in Act 1, and Lightning in Acts 2 and 3. As your character grows stronger and tougher, your life flasks will refill proportionally less and less of your life. Keep an eye out for better life flasks as you slay monsters, as a well-timed flask use can be a literal life-saver. The Trade Board will let you sell items you don’t want to other players. You can find it by pressing “Options” and going to “Trade Board.” Consider using it if you’re looking for an upgrade or have an item you just can’t use. 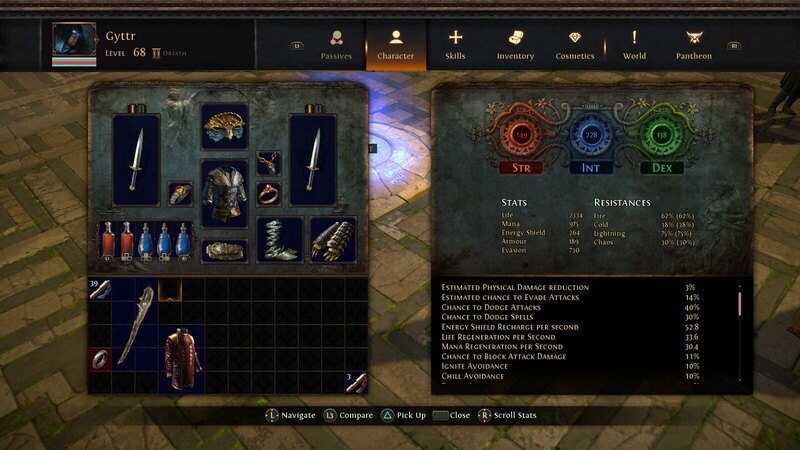 Your stash comes with four tabs by default and is shared by all characters on the same account. 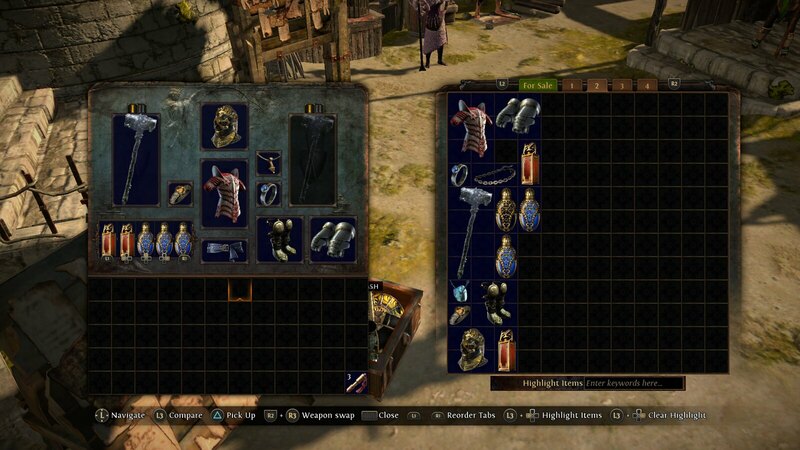 You can stash items you want to use later, or even on a different character entirely, and it’ll still be there when you check it in the future. 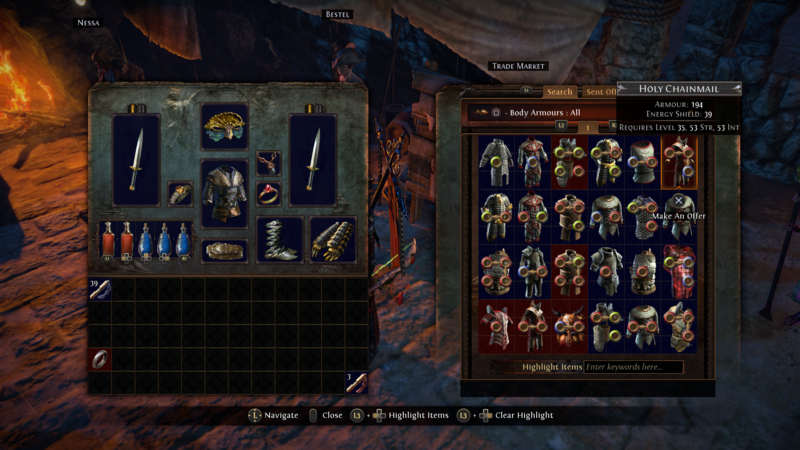 Many players save gear for their other characters in their stash. If you run out of space, it’s possible to purchase more in the store. Some even come with extra features to make organising your wares even easier. Special Trials are hidden throughout the campaign that unlock access to the Lord’s Labyrinth — a difficult, ever-changing dungeon. 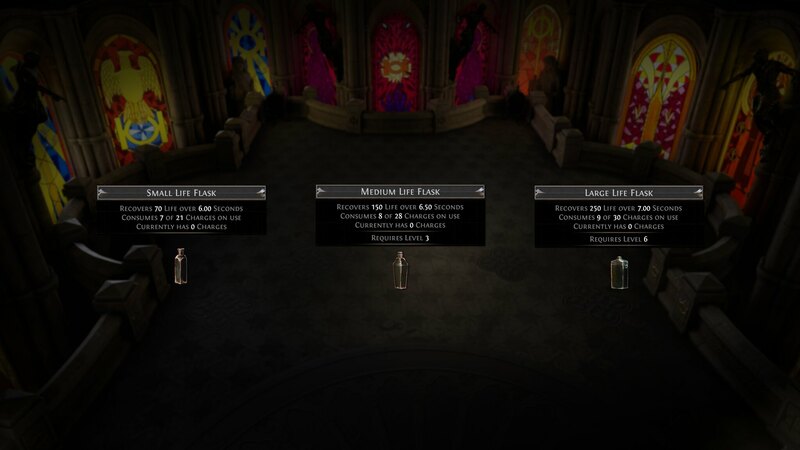 It’s not easy, but completing the Lord’s Labyrinth is worthwhile, as it unlocks access to your Ascendancy classes. 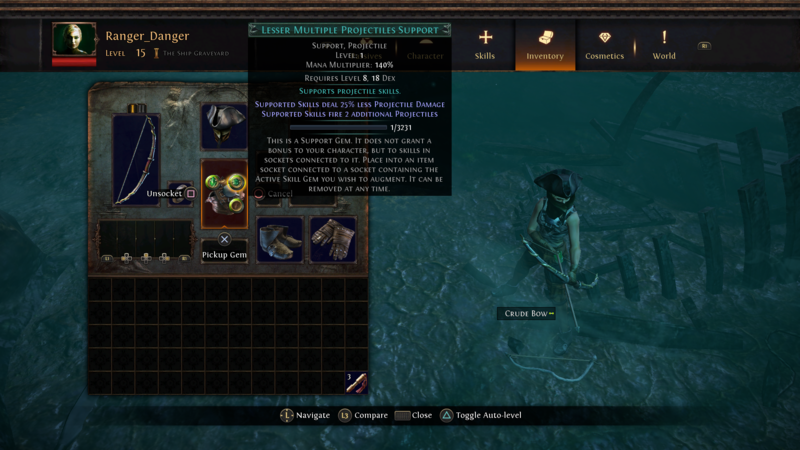 Ascendancies come with very powerful role-defining perks. There are three Ascendency classes available for all asses, save one. Path of Exile has a steep learning curve, but nearly bottomless depths. If you feel like you’re getting stuck, ask for help or check online for tips (like these!). Or even try starting a new character! You’d be surprised how much farther you get on a second character with the lessons learned on your first. We’re so glad you’re joining us on this journey and we’re looking forward to playing with you! Does this PS4 version support keyboard and mouse input or just a Dualshock? Been hyped to play this ever since it was announced for PS4. Can’t wait to try this out tonight. Think you missed something here. With that said, thanks for the tips! Gender Lock classes —-> No thanks ! Hey, wondering if anyone else is experincing this issue but the playstation plus bundle is not working and i bought the doomcrow supporter pack and neither item is loading in the shop for me. the doomcrow pack isnt even acting as if ive purchased it but i checked my bank and the transaction went through. Im not sure what else to do since this is the first day its out so hopefully someone can pick this up? I am having this issue with the PS+ Pack, too. Not to mitigate the urgency of your request, but these types of comments are exactly the reason there needs to be a Up/Down Vote or Report feature. It becomes muddy trying to read through comments when a percentage of them fall squarely in spam category. Regardless, hope you get the help you’re seeking, just don’t think it will be anywhere but the logical Forum section or from Consumer Services directly. To further clarify, not a dev issue…a PSN issue, so they likely won’t be able to answer you here. Can’t wait to give this a shot! Downloading this now, hope it’ll deliver a better experience than D3. This looks pretty good from what little I’ve seen. Might pick this up on a sale in the future. It is free by the way, no need to wait for a sale. The developer (GGG) is amazing with the community, give it a few hours sometime! Found that it’s F2p & downloaded. Played for a couple hours. We’ll see how far I can get before I need to pay.